Founder of exclusive intimate wear brand, Buttercups, Arpita Ganesh says her life was transformed after a bra-fitting session in New York City where she came to understand the power of the perfect set of intimates. Educating herself about all things lingerie, she quit her ten-year long career in advertising, and began researching the Indian lingerie market. Her understanding of the gaps in this growing market led her to start Buttercups – India’s first high-end lingerie brand. Arpita initially raised funds for Buttercups using a much acclaimed, innovative crowd-funding model, and since then, the company has raised funding from noted angel investors. 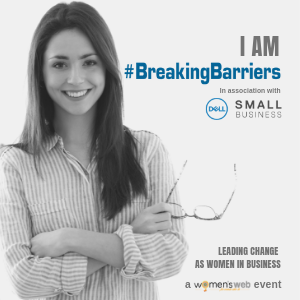 Arpita Ganesh will be sharing her experiences with raising money and growing her company at the Women’s Web event, Breaking Barriers To Growth: The Money Edition. Get your pass now!